When I think of home cooking this is on the top of my list. My mom is a star in the kitchen, this recipe is delicious. In a large frying pan on medium heat brown chicken in about 2 tablespoons of Olive Oil. Remove from pan. In the same pan sauté onion for about 5 minutes, add garlic and sauté for about 2 more minutes. Add celery, parsley, basil, salt and pepper. Cook for 10 minutes or until onion is starts to look transparent. Place chicken back into pan. Add wine and cook for 10 minutes. Add broth and mushrooms. Cover and simmer for 20 minutes. Cook Cappellini until tender and drain reserving about 1/3 cup of pasta water . Serve Chicken Corinna over pasta. Add some pasta water if needed if pasta is too dry. 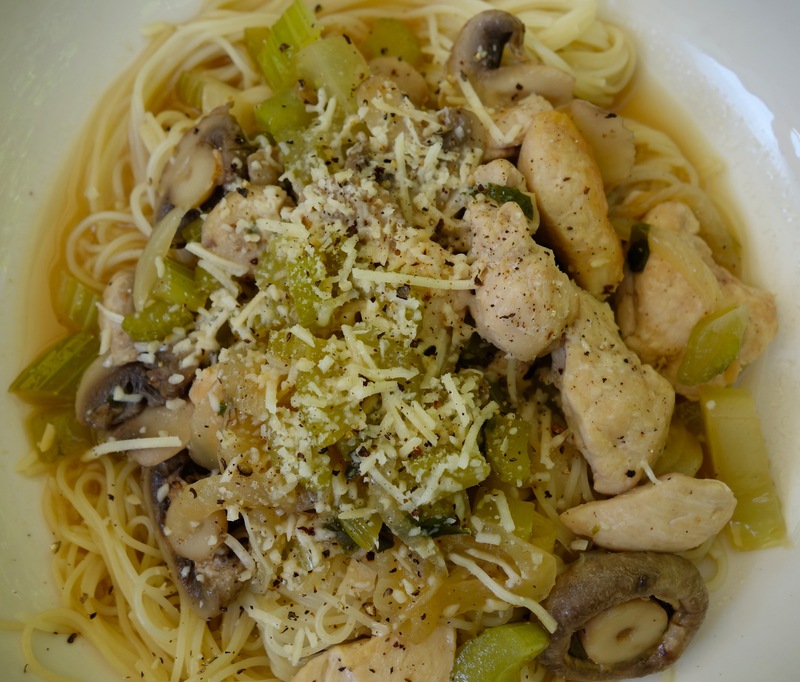 This entry was posted on Tuesday, October 14th, 2014 at 6:45 pm	and tagged with chicken madelena, chicken magdelena, delicious, easy chicken dinner, white wine and chicken over spaghetti and posted in Category. You can follow any responses to this entry through the RSS 2.0 feed.